I have some really big news. Huge. This news is so big that it has rattled my very idea of who I am. I want to shout this news from the rooftops, tweet up a storm, and dedicate a fifty part blog series about it. There’s only one problem: We’re not ready to blog about it just yet. You see, this news affects the kids as well and, until some things are settled, we’re not going to publicly discuss it just yet. 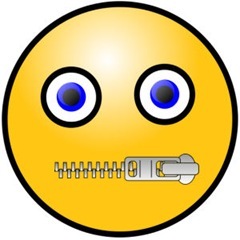 So, until then, I need to keep quiet. 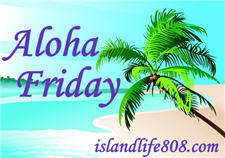 My Aloha Friday question for today is: Do you manage well with big news that you can’t yet share? Disclaimer: The "zipped mouth" image above is a compilation of "Zipper" by Deluge and "Emoticons: Worried Face" by nicubunu. Both are available through OpenClipArt.org. I used to be really bad about that kind of thing. But, as I’ve gotten older, I’m much better at keeping things to myself that I’m not supposed to share. Not really! I would have to at least tell my BFF. I’m intrigued. Sounds like a reality tv series in the works. lol – A big move with a new job? I’m terrible at keeping secrets especially if it’s exciting news. It’s tough to not share but it sounds like you are making the right decision considering it affects the whole family. I can’t wait to hear the news and hope it’s all wonderful and exciting!